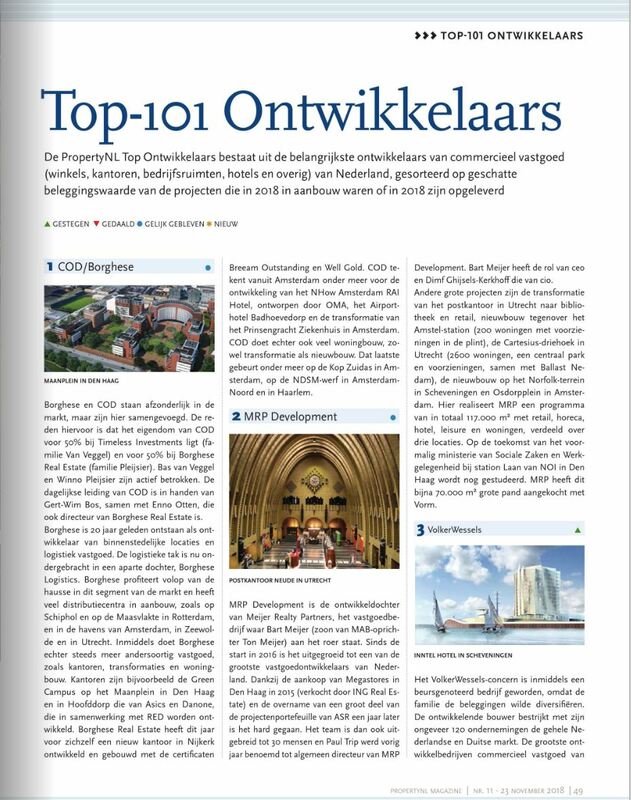 On November 23, 2018 the new edition of the PropertyNL was published, containing the Top-101 Developers of the Netherlands. The choice was made on the basis of developments under construction and completed in 2018. Just like in 2017, Borghese Real Estate is once again in first place in combination with COD. We are proud to be chosen again as the largest developer in commercial real estate in the Netherlands. Click here for the complete article in which Borghese Real Estate / COD are mentioned.